GW Sprinkler is a leading global supplier of superior quality components for water-based fire protection systems. GW Sprinkler provides product sales and technical support from its over 7,000 square metres of modern, purpose-built manufacturing space in Glamsbjerg near Odense in Denmark, one of the most advanced production facilities of its kind in the world. GW Sprinkler develops, manufactures and markets a broad range of products for use in sprinkler, deluge, water spray and water mist systems. These range from automatic control valves, through water flow and pressure control devices, to water delivery spray nozzles and sprinkler heads. In addition, the company has forged close alliances with manufacturers of specialist components that complement its own. A continuous policy of research and development has enabled the company to maintain its position at the forefront of technology in line with the latest demands of the market place. Over the years it has developed numerous innovations and customer-inspired enhancements that have led to water-based fire protection systems becoming ever more effective and affordable. For more than 20 years GW Sprinkler was the manufacturer of high-end Angus Fire sprinkler products such as "Angus-S" automatic sprinkler heads, "Fyrhed" high velocity nozzles, "Thermospray" medium velocity nozzles and "MJC" (multiple jet control) valves. Since year 2016 the IP-rights for the Angus sprinkler and water spray product range were fully taken over by GW Sprinkler and these products are continuously being manufactured in Denmark - but now exclusively under the GW Sprinkler brand name. In year 2000 GW Sprinkler took over all IP rights, manufacturing and sales of the unique elastomeric sleeve Chubb 300 deluge valve after +15 years of manufacturing by Chubb in UK. This high-end valve series was developed in cooperation with leading off-shore end users to provide state of the art, heavy duty, low maintenance and reliable deluge water control. The "Chubb valves" have since year 2000 been manufactured by GW Sprinkler - and branded as GW C300. GW Sprinkler operates a Quality Management System certified by the Loss Prevention Certification Board to ISO 9001:2015. All components and finished products are rigorously tested and inspected to ensure consistent reliability and performance. This includes the use of an advanced testing facility that simulates anticipated field conditions. The company''s products meet or exceed industry standards around the world and are variously LPCB, FM and VdS Approved, UL Listed and CE Marked (see product data sheets for details). GW Sprinkler holds extensive stocks at its Distribution Centre that is located in Glamsbjerg in Denmark. Its modern sales office and warehousing facility are supported by the latest sales order processing and stock control software. This means the company is prepared to respond rapidly to customer requests. GW Sprinkler does business in over 50 countries throughout Europe, Africa, the Arabian Gulf, Asia, South America and the Caribbean through a global network of distributors. It also has regional representation at Kidde sales offices in Dubai, Moscow, Singapore and Hong Kong. As a result, the company's products can be found throughout the world - whether it's low-pressure water mist nozzles in Europe, sprinkler heads in high-rise residential buildings in the Middle East, deluge valves on offshore platforms in Asia or specialist deep fat fryer systems across the USA. GW Sprinkler was named after Geo Werner, a Danish engineer who founded the company in Copenhagen in 1955. It started off installing ventilation systems on ships, but in the 1960s it moved towards installing sprinkler systems. 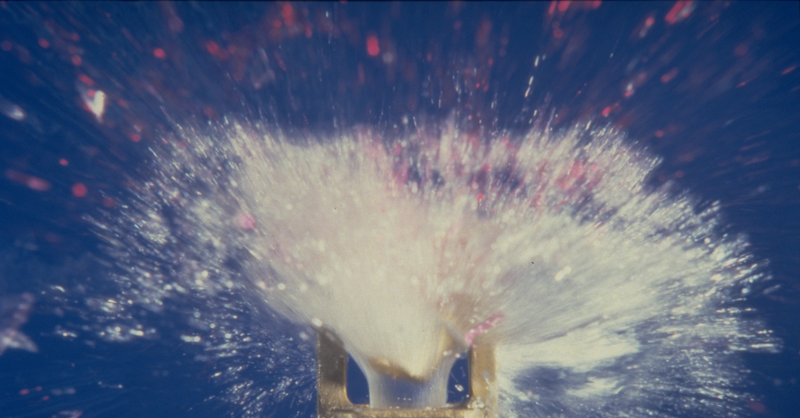 In 1970 it withdrew from ventilation completely and started to develop and manufacture its own sprinkler series. In 1984 the company moved to new purpose built facillities in Glamsbjerg. GW Sprinkler employs around 20 people in the UK and Denmark. Its Investment in People demonstrates its high standards of quality and are reflected not only in the excellence of its products, but also in the skills and motivation of people throughout the organisation. Many of the company''s employees are acknowledged experts in their fields and respected thoughout the industry for their technical ability and breadth of experience.